At UNE, we recognise the importance of pursuing high quality scholarship and scientific enquiry, with the goal of translating this knowledge into tangible outcomes for communities, who or wherever they may be. This priority stems from a longstanding social contract between UNE and the communities we serve to support innovation and improve social outcomes — particularly for rural and regional communities, throughout Australian and the world. The UNE Research Impact Strategy 2025 seeks to enhance our capacity to address regional development priorities through greater engagement and collaboration with our stakeholders. The strategy will be implemented progressively, starting in 2019. The Animal Genetics Breeding Unit (AGBU) supports agricultural industries in identifying the best animals and plants to breed for commercial purposes. By combining large industry datasets with genetic analysis methodologies, AGBU has developed leading genetic evaluation software across a range of sectors including beef, sheep and trees. Widespread adoption of these technologies has led to increases in the profitability of farming operations around the word. In Australia, gross benefits of AGBU’s beef and sheep genetics R&D alone are estimated at approximately $1.4B, adding an extra $45-50M of on-farm wealth each year. These benefits are captured through the supply chain: producers who buy bulls that are bred using these technologies generate on average $9,000 per year in additional profits. More information about the Animal Genetics and Breeding Unit. When students are unable to acquire key concepts and skills in the classroom, they can often get locked into a spiral of widening disadvantage throughout their schooling, and later through adulthood. The QuickSmart program is an evidence-based, individually focused intervention designed to improve students’ acquisition of basic literacy and numeracy skills over a 30-week program, during the crucial middle school years. The program is designed to improve fluency in foundation skills and develop higher-order cognitive processes such as comprehension and problem solving. 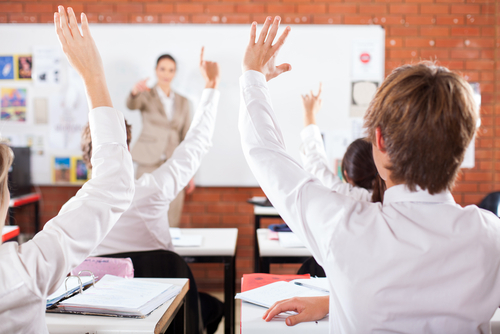 It works by training students to better recall and automate basic skills, allowing them to focus on some of the more complex processing required to develop literacy and numeracy skills. QuickSmart has been widely adopted throughout Australia. It has been used by close to 1,300 schools from all states and territories and involved approximately 55,000 student participants. The program is delivered through the National Centre of Science, Information and Communication Technology, and Mathematics Education for Rural and Regional Australia (SiMERR), based at UNE. UNE researchers are currently involved in an $11.7 million joint Australian-Indonesian program, aimed at scaling-up Indonesia’s smallholder-based beef industry. 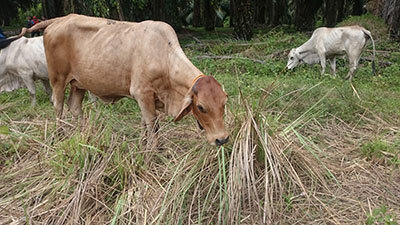 The IndoBeef program encompasses two key projects. The CropCow project aims to increase the adoption of proven technologies that improve productivity in crop-livestock systems in new regions. While the PalmCow project will focus on integrating cattle farming with established palm plantations, to improve the profitability, productivity and livelihoods of farmers. IndoBeef is funded by the Department of Foreign Affairs and Trade (DFAT) and is expected to run over four years. The research will be jointly led by UNE and the Indonesian Agency for Agricultural Research and Development. The impacts of suicide throughout the community are highly pervasive, as those left behind must endure their loss as well as the stigma still associated with mental illness today. While there is often a focus on the immediate kin, ‘loss survivors’ can encompass a broader social network, including classmates, counsellors, teachers and colleagues. Each of these people will respond according to their own complex set of personal factors and mental state at the time. Recent research suggests that those exposed to a suicide are at significant risk of adverse health, social and economic outcomes, including suicidal behaviours. ‘Postvention’ is a relatively nascent area of public health that refers to interventions conducted after a suicide to help alleviate the effects of stress amongst the bereaved. For over 15 years, Professor Maple has supported national allied health services in embedding best-practice Postvention strategies to help minimise the risks associated with community exposure to suicide. In particular, her collaboration with Headspace – the National Youth Mental Health Foundation – led to the implementation of largescale service improvements throughout the organisation’s bereavement support functions. As a result, young Australians affected by suicide have access to enhanced mental health services that can better identify and address the specific anxieties triggered by suicide loss. The Ecohealth program is used to monitor, measure and report on riverine ecosystem health. The program informs regional councils and other management groups about critical indicators of river health, and also local residents with key information about the ecological health of their waterways. The program has been adopted by 17 Local Government Areas (LGA) on the North Coast of NSW to provide a scientifically robust, co-ordinated and standardised monitoring and reporting program for waterways in the Northern Rivers. Ecohealth’s quality assured sampling methods has helped inform policy-making as well as supported LGAs in managing and investing in waterways management based on reliable data. Ecohealth research has also changed regional community understanding for protecting and restoring local waterway health.